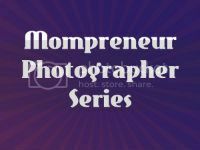 For round #2 of MPOS (Mompreneur Photographers of Ontario Series) we are moving North to Espanola Ontario to feature Ange Byers from SasseyPhotoz. I put a call out on the Mondays with Mac fan page for a recommendation for a Northern Ontario photographer to feature and got rave reviews from a SasseyPhotoz fan. I checked out her work and I was hooked! If baby photographers were rockstars Ange would be Keith Richards (you know because she has an amazing style that is all her own - not because of the heroin addiction or falling out of coconut trees). 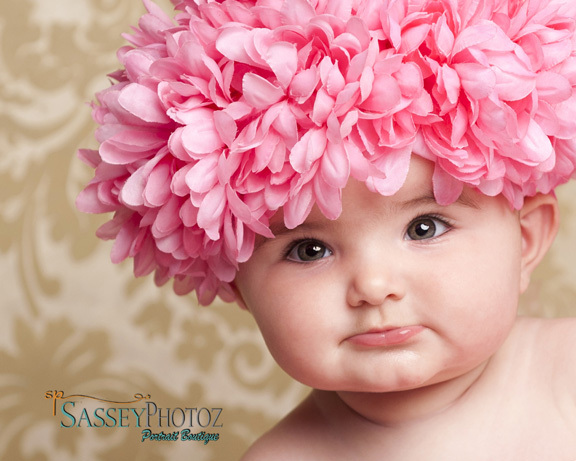 Sassy Photoz is giving away a baby's first year package (or equivalent if you are not looking to have a baby photographed). Her baby's first year package is the perfect gift, or addition to any wish list for expecting parents. 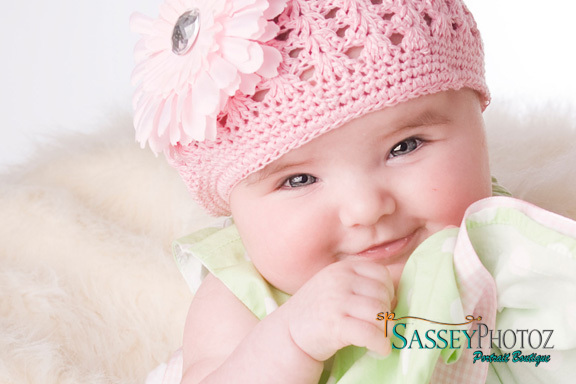 It includes a newborn session, plus follow up sessions every 4 months for the first year. 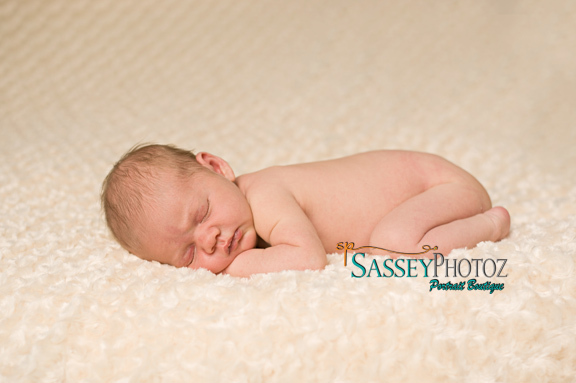 The newborn session comes complete with 20 birth announcements, and each session comes with a FREE 5x7. At the end of the first year they are presented with a 10x20 plaque with one image from each session. The best way to commemorate the first year. Thanks for joining us Ange! Why don't we start with the locations that you cover. Thanks for having me! I cover Espanola, Sudbury, Manitoulin Island, and Elliot Lake. My family, this is an easy one. I am a mother to two of (what I believe) are the cutest, funniest kids on the planet. And I am a wife to the most amazing man I know- next to my father that is. Together we live in Espanola, Ont., a small town just outside of Sudbury and close to both of our families. Which proves everyday to be the best move we ever made. I love being able to visit my parents on a whim, as do my kids. I love that they have a strong bond to their grandparents, and that I am able to be so close with my family. How wonderful. I'm a Sudbury girl originally. I can understand the pull of moving "back home." How long have you been in business? In 2005 I graduated from Algonquin College's two year Photography program, at that time I started freelance work, but I feel I really started to take it more serious once my son was born in 2008, then when my daughter was born in 2010 I vowed to make it my full time career. In 2011 I opened a studio store front in downtown Espanola. So far the road has had some bumps, but the rewards always outweigh the falls. Good for you! I so love a good mompreneur story! What are your favourite subjects to shoot? 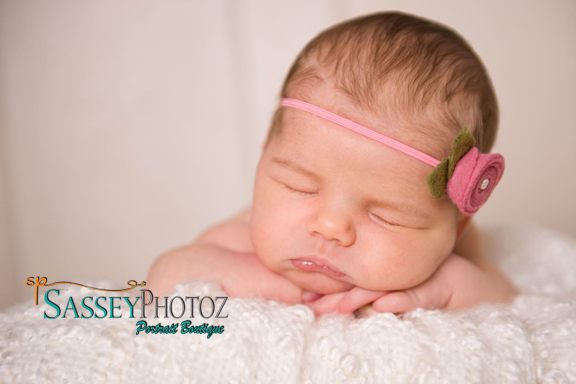 My favorite subjects to shoot are newborns, babies and children. 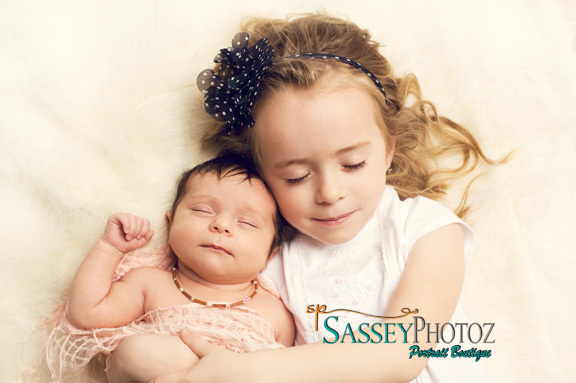 How does being a mom influence your photography? 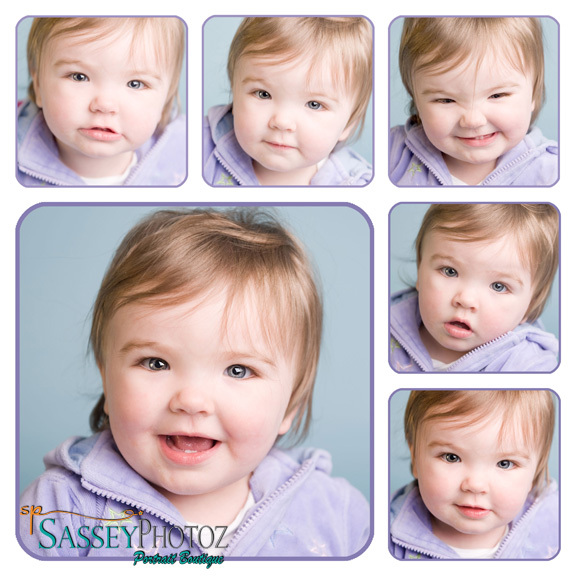 Being a mom influences my photography with the desire to preserve those fleeting memories. Every mother watches their children grow, but documenting their growth is what drives me. 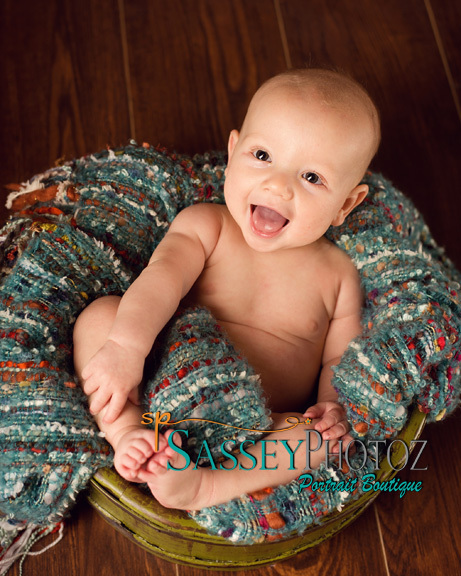 Too soon that first year is over, and with out professional images captured its hard to remember what your newborn looked like, or what milestones were reached at 4 months old (grabbing toes, little grins) I love being able to give my families wonderful memories to look back at. Too soon is right! I've never known a year to fly by so fast! If you could only shoot with one lens for the rest of your life which would you choose? If I could shoot with one lens for ever it would be my 50mm 1.4. I probably used it for 3months straight when I first bought it. What is the funniest thing to ever happen to you on a shoot? Recently I was holding a newbie with her bum to my chest gently rocking her trying to calm her (sans diaper), when all of a sudden my lap was soaked! Little girl had peed all over me. All in a days work I suppose. Best editing tool by far, Lightroom!! Best upgrade I've made this year! Where do you see your business in five years? In 5 years I hope to be an exclusive newborn/child photographer for the north. How exciting! I hope that we can help you achieve that! OK, lets get real. It's Saturday at 10 PM, what are you doing? I am most likely spending quality time with my husband. I try my best to keep my weekends for my family. While it doesn't always work out, its great when it does. Ah that elusive creature "quality time." Is it quality time if you both collapse on the couch with a bag a bag of chocolate candy and cheap red wine in a mug? If so then you can also find me spending quality time with my spouse on Saturday night. So we know you rock it behind the camera, but how do you feel in front of it? I actually feel fairly confident in front of the camera, I think having family portraits taken frequently is important and have never shied away from having them done. While I am behind for this year's shoot it is in the works this summer. Documenting your life is the only way to preserve your memories. I always want my children to believe that family is important, and I think seeing yearly portraits of us all together reaffirms those beliefs. I remember reading somewhere that a child who had her or his picture hanging in their house had more self confidence than the children with no pictures hanging on the walls. And it makes sense, and maybe not just for children! I have many pictures of our family hanging in our house, and love to showcase who we were at that time. While we are ever changing, those pictures will always stay the same. Good answer! Well thank-you so much taking some time to chat with us today Ange. Thank-you! It was such a pleasure to be here. You are such an awesome interviewer. I felt so at ease the whole time. And Mondays with Mac is seriously like the best blog ever. *editor's note: one of Ange's answers may have been paraphrased a little (a lot). Lets play a game where you try to guess which one shall we? 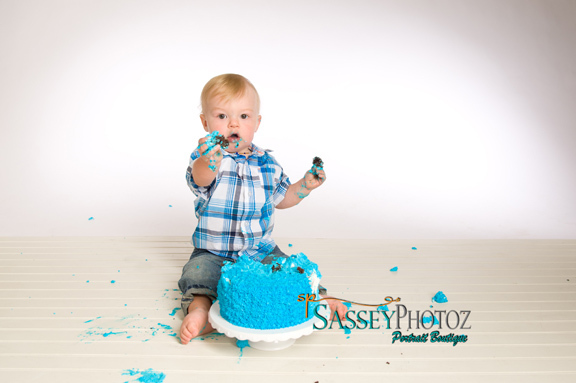 You can contact Ange by email at info@sasseyphotoz.com or visit her on Facebook, Twitter or Pinterest. 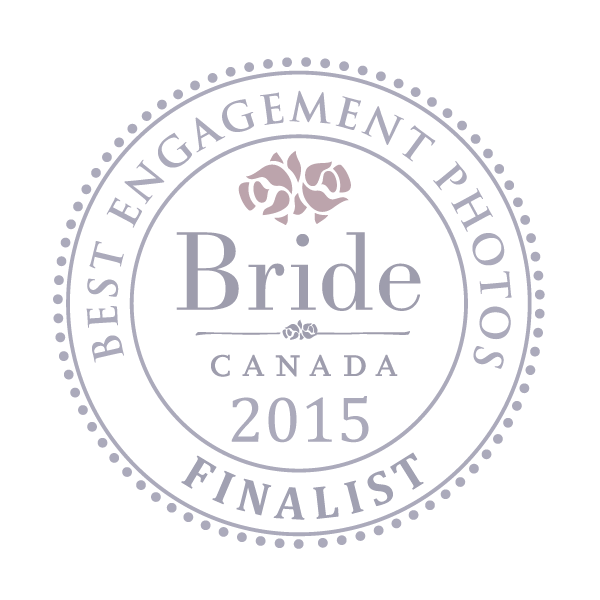 Or, if you are really eager, stop by her studio at 120 Tudhope St. Espanola Ontario. To see more of her work check out her website and blog. *please note: this contest has been extended. 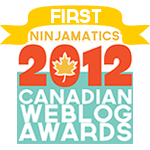 All previous entries will be added. But now you have an extra chance to win!